The Mathematics Institute had originally been dispersed across four different sites when Viñoly was hired to design a new building for the department. The department’s existing buildings were significantly crowded and offered no further space for expansion, and its dispersed community was in short of a clear focal point for undergraduate teaching, and also made it difficult for the various research groups and individuals to collaborate. 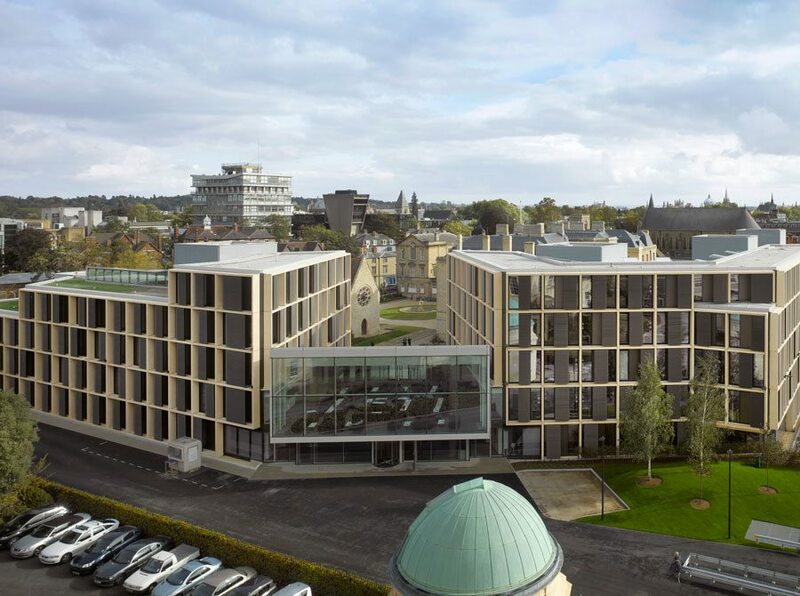 The new building consolidates the department’s multiple locations to provide a new focus and identity that balances researchers’ need for privacy with the increasing importance of interdisciplinary collaboration. 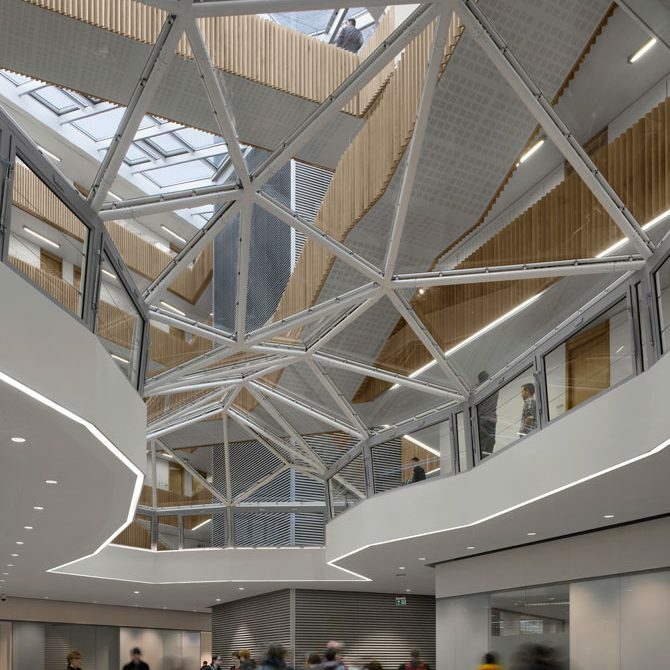 The Mathematical Institute provides workspaces for over 500 academics and support staff, and provides education space for international research fellows, lecturers and undergraduates.